Our Quarry division has been using technology from Kespry to leverage state-of-the-art drone flights to help manage mine planning & development and inventory management. Quarry Manager Tim Allard attended specialized Drone flight training and uploads all of the collected data to the Kespry Cloud. What’s returned is a wealth of knowledge, whether it be a three-dimensional site plan used for quarry development planning or the analytics that calculate inventory in tons, on stone and recycled products. Using traditional survey equipment for mine planning and earthwork operations management can often lead to increased project costs and delays in schedules. Kespry helps us solve these challenges with a complete solution using aerial intelligence – from capturing survey-grade data via an autonomous drone to deep analytics specifically designed for mine planning projects. Kespry’s aerial intelligence platform enables mining and aggregates organizations to maximize revenue with more accurate inventory management. 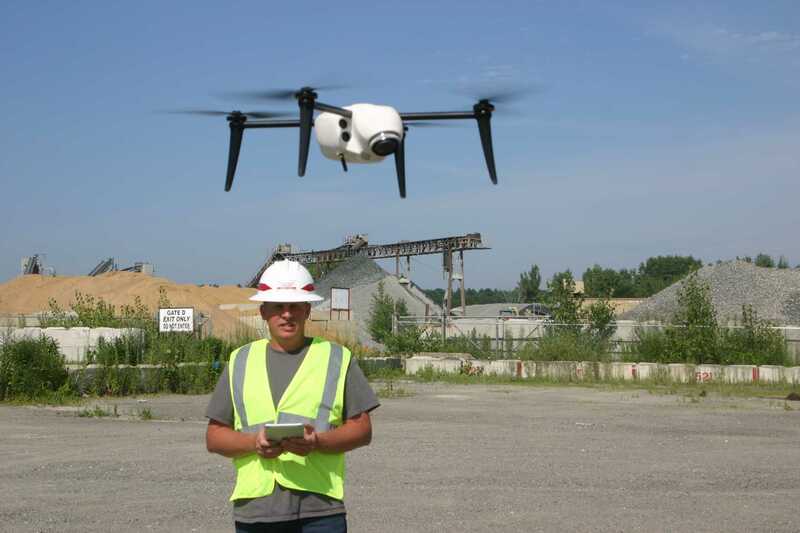 Three key benefits of adopting drone technology relating to inventory management are: Increased revenue – to maximize P&L performance with more accurate and timely inventory data, Save time – to unify multiple inventory formats with standardized aerial data, and Lower costs – to improve planning with timely inventory data for our stone products.